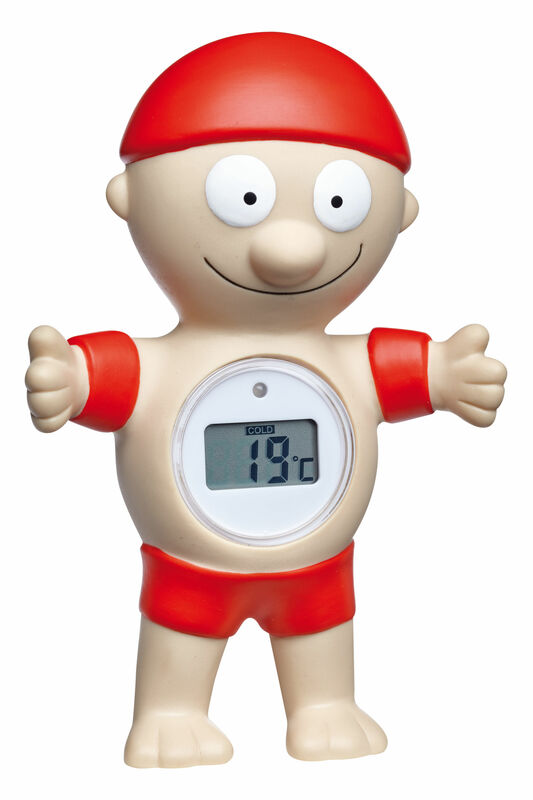 As a friendly lifeguard, this digital bath thermometer monitors the water temperature and is ideal for children and babies. 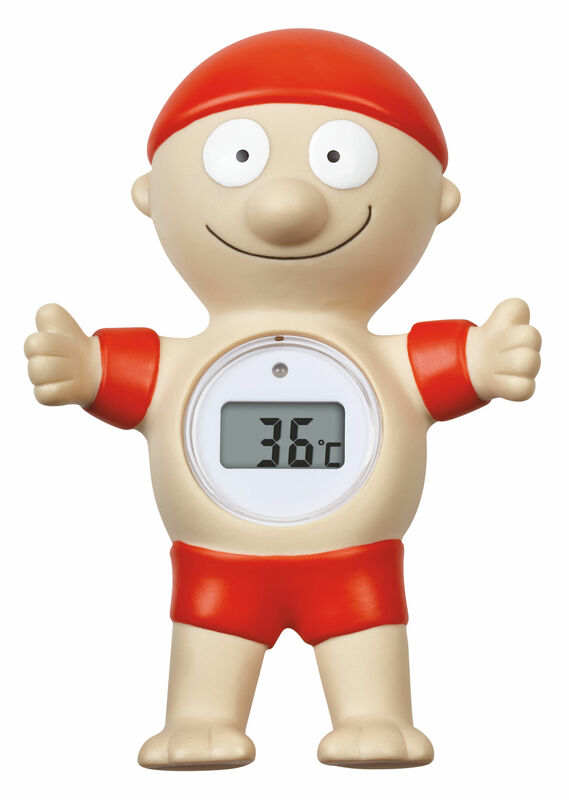 He floats in the water with his swimming armbands and the water temperature is displayed on his round belly in large and easy to read digits. 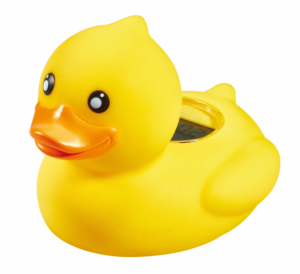 A red LED light warns when the bath water is too hot, thus protecting against scalding. The thermometer is switched-on with a simple tapping on the hand and it has a convenient automatic switch-off function.